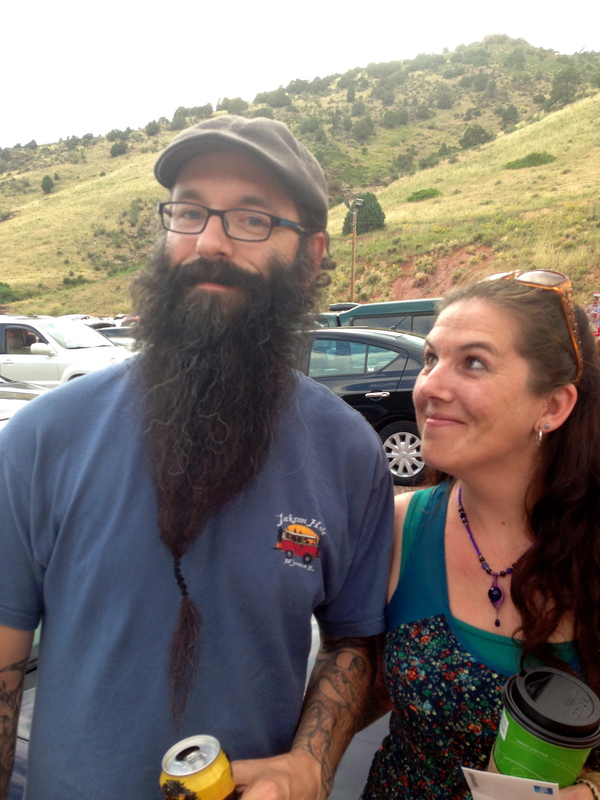 As fans of Beards of Denver may not be surprised to learn, Red Rocks is one of the meccas of spotting epic beards. But when we saw Sean tailgating before the Avett Brothers show recently, we knew we’d spotted a bearded diamond in the rough. Sean, who lives in Colorado Springs and is a tattoo artist at Nostalgia Tattoo Co. there, not only can obviously grow an impressive beard, he has used his stunning handsomeness to his advantage, trying out to be a beard model in Bend, Oregon after he had heard about European Beard Models (that sounds like a trip we need to take!) Sean, who’s a huge Colorado Avalanche fan, told us he and many others specifically will grow out their beards when the Stanley Cup starts, which seems like as good a reason as any for showing off that rad facial hair. When we asked Sean’s lovely sweetheart Mandy if she was a fan of his beard, she noted she couldn’t imagine him without it, since he’s had it the entire three years of their courtship. She did say though that sometimes she grabs his beard at night instead of a blanket, which really seems like a better thing to nuzzle up in anyway! Also, apparently Sean and Mandy’s cats aren’t afraid to nuzzle right up in all that bearded-fierce-fantasticness, either! Obviously, they recognize. Thanks Sean! Keep up that great beard work.